When we do not give up praying confidence works miracles! 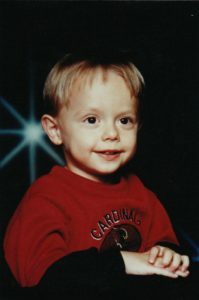 I’ll never forget the thought I had after the death of my 2 year old son Nathaniel in a car accident. “Could I possibly ever be a mother again?” The death of a child should never proceed a parent. It matters not the age of the child, nor how long ago the child passed, nor how much a parent has processed and healed over time. When a parent is asked about, or speaks of their missing child one immediately senses their beloved is gone much too soon. To be an earthly mother again was beyond my ability to comprehend. That and how Nathaniel died was truly devastating for my family. It tested our faith and strength beyond what it had ever been tested before. Neither my family nor myself ever blamed God for what happened. This was a grace from God because after Nathaniel died and I was finally released from the hospital, I returned to Adoration and daily Mass with my father driving and attending with me. It has been 19 years since Nathaniel’s passing and 10 years since writing my journey of healing. Since then my husband and I have been busy with work and active in various ministries. It has also included having the blessed experience of growing our family through adoption by way of foster-care. I’ll never forget the first time I saw my daughter Lucia. I was a lector for Sunday Mass and sitting in the front row. When it was time for the congregation to receive Holy Communion I noticed a familiar face coming forward, Patti, who attended a bible study I facilitated along with two other ladies, and there among her family was someone I had never recognized before, a young girl who went up to receive a blessing from the priest. After the blessing Lucia walked with her family around my pew to get back to her seat. My heart leaped upon seeing her beautiful face. I’ve since wondered if I might have felt a glimpse of what Elizabeth felt in the joy of St. John leaping within her womb when they greeted the Mother of God who was pregnant with Jesus. Lucia’s presence made a deep impression upon my heart and spirit. I smiled, thinking to myself how blessed was the mother of such a child! Through our licensing agency the journey of becoming foster-parents took a worth-while investment of our time, focus, and emotional energy. It involved having a home-study completed by an assigned caseworker who conducted several interviews of my husband and myself on various topics such as: education, employment, relationships, social life, family background and finances to name a few. It also included our giving references, and fingerprints for background checks, and required that we look at our readiness and reasons for wanting to foster. We learned that as meticulous as the home-study process had been it was in place to protect the children as well as those discerning the process of fostering. In addition to the home-study the state of Arizona required our taking 30 hours of parent training classes called PS-MAPP –Parenting for Safety and Permanency Model Approach to Partnerships in Parenting. We attended these sessions in 6 hour segments on 5 consecutive Saturdays. Although this training did not commit us to becoming a foster or adoptive parent, it helped us process and carefully consider what the best route would be for our family. It was through these training classes we learned that we would be opening our hearts and home to children who were abused, abandoned and/or neglected and in desperate need of stability and healing. These sessions went into details of children’s life stories and the types of, and varying levels of abuse they’d endured. For my husband and I it was gut wrenching dose of reality that brought our motives more clearly into view. If we thought we might want to protect and hold onto these children forever it most likely wasn’t going to happen because re-unification with the bio family was a priority. If a bio parent was making a genuine effort to reform themselves we might have these children in our homes for a time with no guarantee as to their ability to cope, heal or length of stay. We had to gauge the strength of our hearts to love with the possibility of letting go. With our both having suffered great losses, my husband, who in junior high, lost his 35 year old father to a brain tumor and myself, with the loss of my young son in a car accident, to address this was not an easy task. It required a lot of prayer, discussion, faith and unconditional love on our parts. Along the journey I couldn’t help but think what a wonderful father, my husband would be. He was a catechist of pre-K children for nearly 8 years. While engaged we couldn’t walk onto his church grounds without many of these now growing children running up to him to give a quick hug and share their latest adventures. There was also the recent occurrence at our church when he was ushering. This particular Sunday a precious 3 year little old girl burst through her family to run up to him and leaped into his arms. Thinking he knew this adorable child when he put her down I asked him, who she was. He said, “I have no idea! This is the first time I’ve ever met her!” Here again was a little one with Patti. 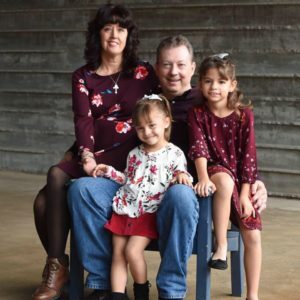 We came to learn that she and her husband were also foster-parents and had fostered close to 30 children throughout their years and adopting 3 of their own. And then it happened. The test. Our first two parent classes were met with great enthusiasm that quickly waned for my husband after session 2 was complete. Upon hearing the traumatic situations that these children came from I could see in his eyes that fear had crept in and was trying to wedge its way fully into his heart. He began to ask himself, Can I really do this? Can I support my wife and these children who enter our home, fall in love with them, then let them go? It was then I realized there was no way I could discuss with him what I previously shared with my co-workers that I had been sensing that the Lord was placing not one but two children on my heart, having myself a loving sibling. When Sunday came we attended early Mass at our church then afterwards the Knights of Columbus pancake breakfast to grab a bite to eat and support the parish. My husband being a Knight also served and enjoyed the camaraderie of his brother Knights. As we got ready to leave my husband asked if he could stay since the Knights were short handed for the next Mass and breakfast. I said of course, then left with my parents for home. Beaming, he began to tell me of the second shift at the pancake breakfast, how near the end of it Patti had come in with her husband and all her children. He approached Patti asked her how it was that she and her husband did it. She shared with him her husband’s own initial doubt and his wanting to run after just one class but that he stayed the course. Now you couldn’t take away from him the joy of loving those who many times have lost everything! This put my husband’s heart at ease. As Patti affirmed and encouraged him she inquired what we were hoping for, whether to foster only or to foster and possibly adopt. Since we prayed and discussed this at length he told her we were open to both, to foster and if God willed it to adopt. Patti perked up and discretely pointing to two little girls at the table with her she asked, then what about these two? It was the girl I had fallen in love with and the little girl who had jumped as if knowingly into my husband’s arms a week earlier. Patti told him they were siblings with the littlest one recently joining them and that severance was likely. Patti then asked Lucia if she could tell him about the apple. Lucia went into a delightful discourse on how it was that her front tooth was close to coming out but failed to do so until she bit into an apple and without knowing it, it was in the apple, and on she went…, all the while captivating my husband with her story, he would on occasion glance at the other child as she’d peek out from the others, smile, and bat her beautiful brown eye-lashes at him and, that was it, he was gone! His heart had melted and he had fallen in love with these two little girls. I asked him why Patti had not intended to adopt them and in charity it was because she and her husband were 10 years older than when they adopted their other children. They did not feel it would be fair to the little girls. His next question were words I never thought that I would hear, -would you like for us to be considered as adoptive parents for these … and before he could finish, I said, Yes! And so began our miracle, the foster-adoption journey of our two gifts from God! Nathaniel has two little sisters who love him very much. I have no doubt he has been interceding for us all! What a great journey Dawn. You and your family are in my thoughts and prayers. A beautiful story that you need to send to your former licensing agency. Great writing for 4 beautiful people!! Kat M.